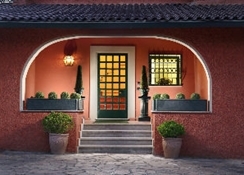 The resort La Rocchetta is managed by the owners and with superior amenities for the three stars category, the Hotel offers enchanting atmospheres that enclose the garden and its lush vegetation, which is a true oasis of tranquility near Rome. 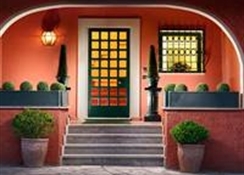 It offers a big parking aerea, is situated in a big garden with Mediterranean pines, the atmosphere is quite and calm far from the stressful life of Rome. 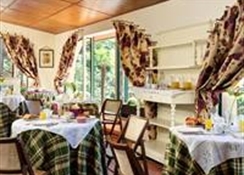 The Hotel offers continental breakfast served in the cosy, bright and confortable veranda. Small pets are welcome. 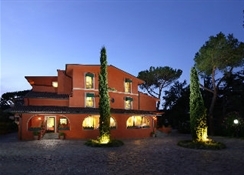 Resort La Rocchetta is a three stars hotel located in the north of Rome, Giustiniana aerea on the Cassia road, easily accessible from the roman ring, close to the Giustiniana railway station and bus station. Resort La Rocchetta has spacious and bright 20 rooms all with private services, hairdryers, air conditioning, LCD TV, Frigobar, lap topo safety box, telephone, internet and WIFI access. The rooms, perfect for a family holiday in Rome or for a business trip, have confortable beds and furnishing that combine a tasteful, pleasant and functional style. The quite and relaxing atmosphere of the garden that surrounds the resort, makes the rooms of the Hotle the perfect opportunity to discover the wonders of Rome while staying in relaxing cozy rooms. 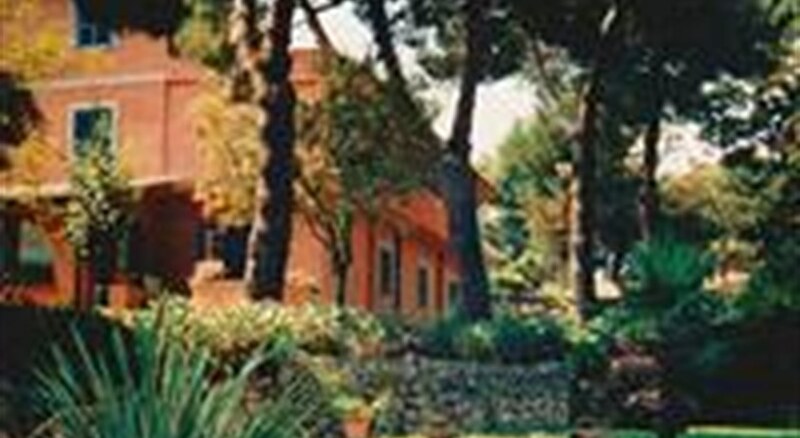 The Resort La Rocchetta is close to the Olgiata Golf Club and is an excellent starting point for those who want to go to the Olympic Stadium, the Foro Italico and the main hospitals of Rome(Casa di Cura San Valentino, Fatebenefratelli, Gemelli General Hospital, San Filippo Neri and Sant'Andrea). The Resort is 200 meters from the bus stop (lines 201,233 and 031) and 400 meters from the Giustiniana stop, where the train arriving from the center of Rome (Trastevere and Saint Peter's Basilica) stops in Piazzale Ostiense. It is also possible to get of at Valle Aurelia and take the A line subway to reache the center of Rome Piazza del Popolo and the Vatican Museums.